Image Size: 24 X 18 in. 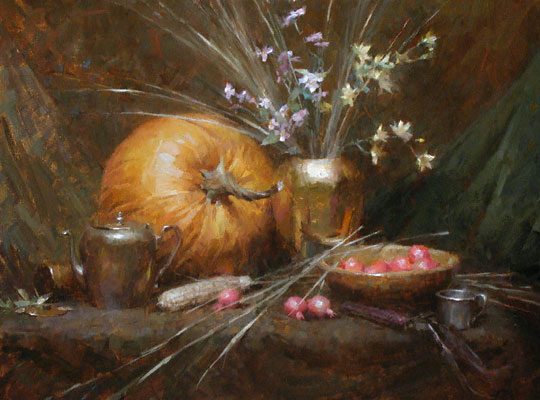 The best still life paintings make the ordinary extraordinary. With his masterful use of oils, Morgan Weistling brings this simple scene to life. Spectacular lighting combined with gentle brushworks and impressions create this dreamlike image.